ALABAMA to play the 2012 Cavendish Beach Music Festival in Canada! Alabama will play the 2012 Cavendish Beach Music Festival on July 7th this summer in Canada! The Cavendish Beach Music Festival welcomes more than 60,000 visitors each July to the coastal community of Cavendish, Prince Edward Island. The festival features world-class country entertainment, camping, dining and more than 30 acts. Past performers have included country greats: Trace Adkins, Toby Keith, Brad Paisley, Johnny Reid, Lady Antebellum, Keith Urban, Taylor Swift, Tim McGraw and the legendary Reba. 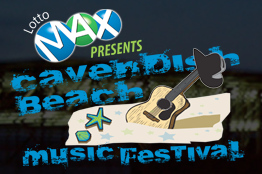 In 2010, the Cavendish Beach Music Festival received several industry accolades including nominations for Event of the Year by the Canadian Country Music Association as well as the East Coast Music Awards.